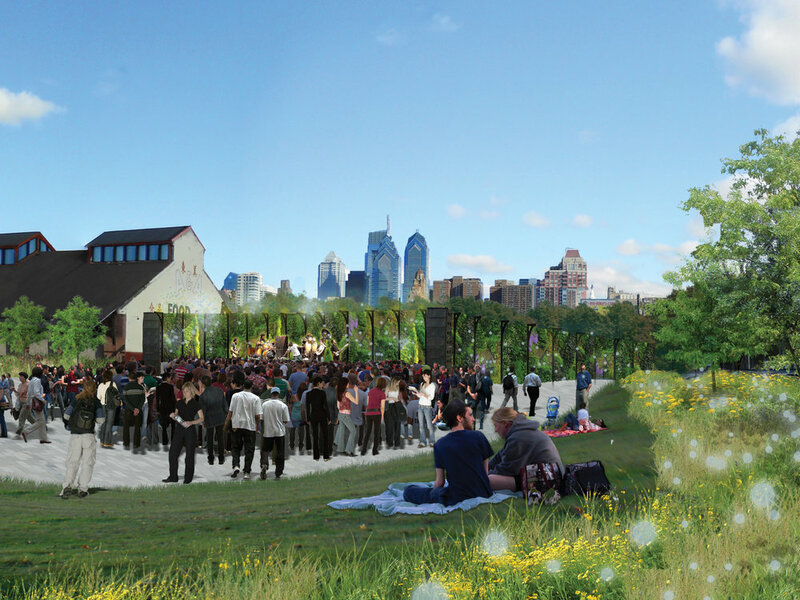 In 2013, The Avenue of the Arts partnered with the Pennsylvania Horticulture Society to launch the "new Vision for South Broad Street" Competition. Jonathan Alderson Landscape Architects, Inc. provided the winning submission. 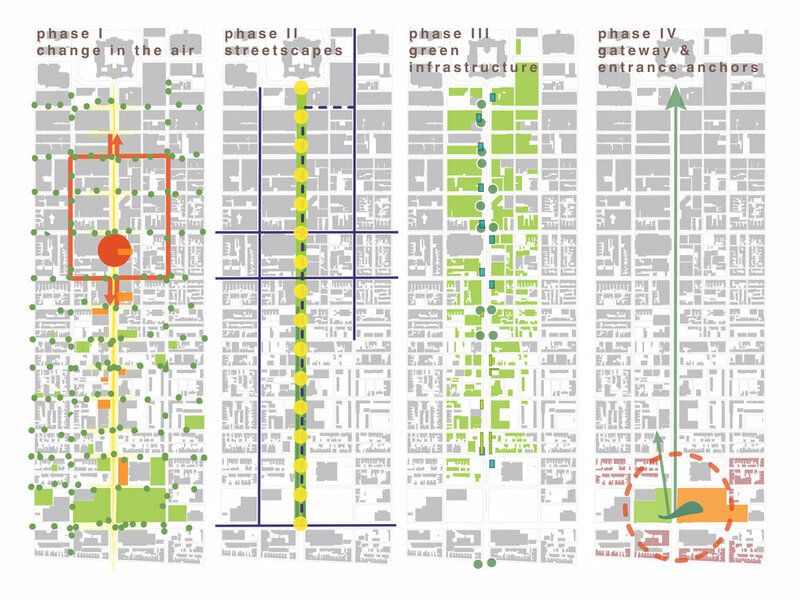 Implemented in phases, the team’s plan features both low cost and immediate installations and longer-term capital improvements, creating a catalyst for accelerated growth of this important public space. Among the highlights of the plan are a gateway piazza to the Avenue of the Arts from South Philadelphia and an outdoor, pop-up performance “Square.” Locally manufactured modular planters add opportunities for seating, and, along with a defined plant palette and lighting, create a unified look.